We all have our seasonal Starbucks favorites, whether that means you start drooling over pumpkin spice lattes in July or find yourself dreaming of the peppermint mocha even when spring is knocking at the door. 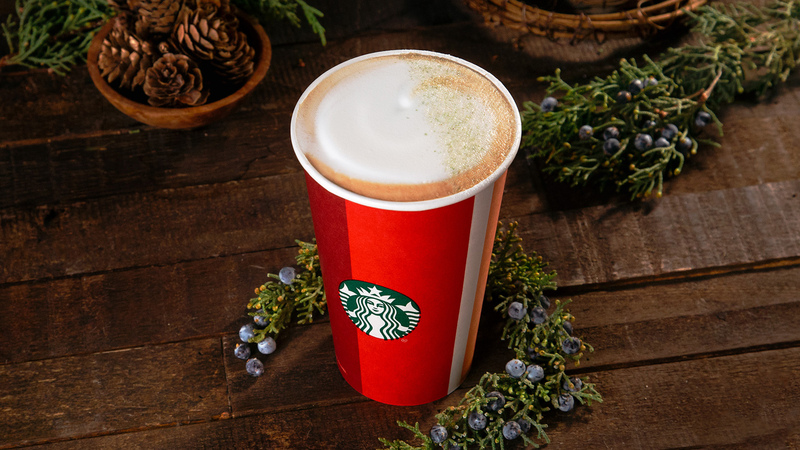 But this year, Starbucks is shaking things up with a new drink that will definitely challenge people’s taste buds beyond the usual chocolate-caramel-mint flavor profiles of holiday beverages. It’s Starbucks’ juniper latte, a drink that first debuted last year at the chain’s swanky Starbucks Reserve Roastery in Seattle. The juniper latte is made with espresso and steamed milk that’s infused with juniper syrup, then topped with a cloud of foamed milk and sprinkled with a pine-citrus sugar. Juniper itself has a piney flavor that will definitely make you think of Christmas, and the citrus-pine sugar on top sounds intriguing. We may not be so used to pairing citrus and espresso at Starbucks, but it’s a common practice at a lot of cafés to serve your espresso with some lemon rind, and iced coffee lemonade is an increasingly popular summer drink. While we’ll definitely still be counting the chestnut praline latte and salted-caramel mocha as members of our regular rotation, we’ll be trying the juniper latte. It’s available for a limited time only starting Tuesday, so if you’re as beguiled by the new beverage as we are, you’d better try it soon.